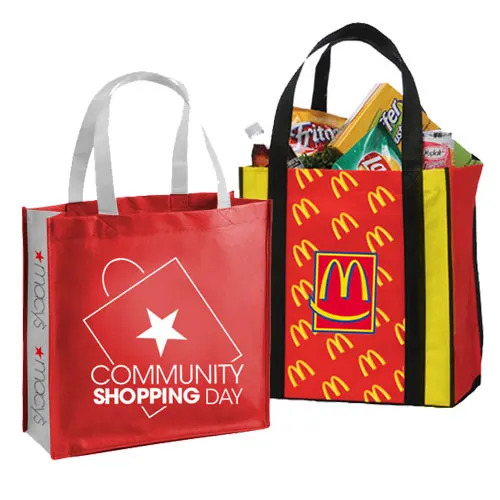 Our charming stylish reusable shopping bags feature a fun color-matched patterned trim that runs along the opening of the bag and 14″ handles that make for comfortable shoulder carrying. 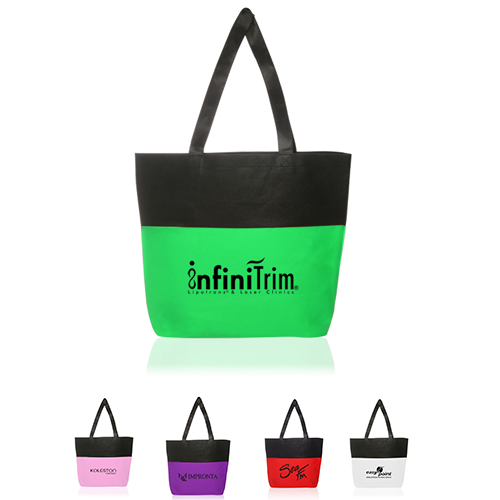 These handy custom shopping bags are perfect reusable bags for school or work and can be customized with your logo so your clients will not only be cognizant of your brand, but everyone they encounter while carrying your bag will also see and remember your logo. We imprint your custom artwork on stock bags in the USA which allows us to turn orders around in as little as two weeks. 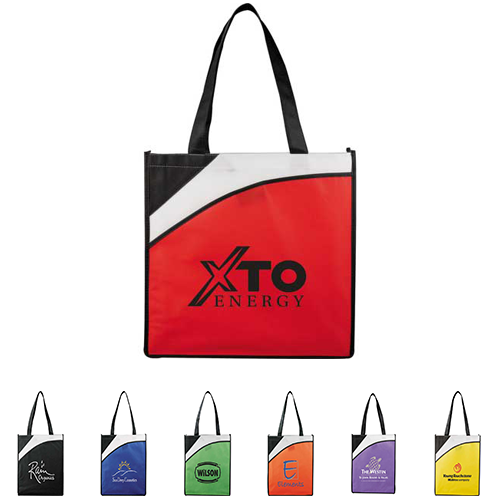 If you have more time you can secure a lower wholesale price and order from our fully customizable, reusable bag options that our team can help make your vision a reality, again for a great price.